For these arts students—for all students—learning comes from taking risks, making mistakes, and applying feedback. At New Mexico School for the Arts (NMSA) -- a dual arts and academic curriculum -- failure is taught as an important part of the journey toward success. Understanding that mistakes are indicators for areas of growth, freshmen learn to give and receive feedback. By senior year, students welcome tough, critical feedback -- and even insist on it. 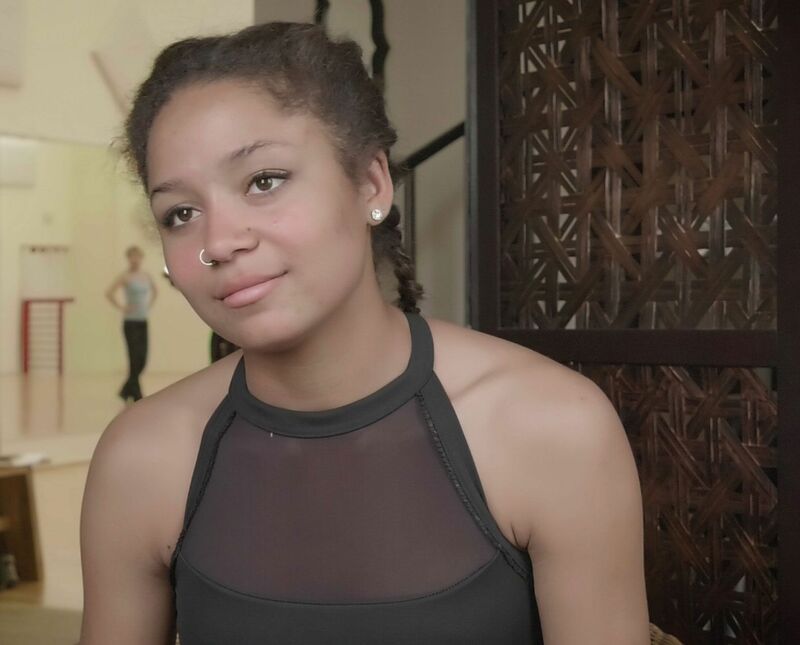 When Natesa, a senior at NMSA, arrived as a freshman, she had a hard time pushing herself in the areas that were difficult for her to master: choreography and getting into character. "Now, I feel like I can channel my inner self and my inner fierceness when I need it, and even my inner beauty," reflects Natesa. "I became more willing to take risks, and I think that taking risks is a big part of who you want to become, and who you're choosing to be." Students audition to get into an NMSA program specific to their craft -- dance, theater, music, or visual arts. Each day, they have their academic classes from 9AM to 2PM, and after lunch, they have their art classes until 4:45PM. "Students have to take risks," says Cristina Gonzalez, the former chair of NMSA's visual arts department. "That’s something that is so unique to learning in the arts. Great art comes from risk taking, from being willing to fail. Maybe it will work. Maybe I'll discover something about myself, something about my capacity that I wasn't even aware of, and that's so exciting for a student." If you want to help your students develop a growth mindset -- the belief that they can improve their abilities through effort -- helping them become more comfortable with risk-taking and modeling critical feedback through critique journals are two of NMSA's strategies that you can adapt to your own practice. Making mistakes, not knowing the answer -- this is part of the artistic process. "You're going to make bad paintings," says Gonzalez. "You're going to make bad photographs. You're going to fumble your way through it, and in fact, that's how you learn. You need to make those mistakes." The idea that you learn from your mistakes is embedded into their entire arts curriculum. Teacher, expert, and peer critiques are innate to the arts process. Immediate feedback is part of the norm. You might pause your piano student in mid-rehearsal to say, "When you get here, make sure you get a really clean pedal on the B flat, but that was great. That's the kind of energy you want." In dance class, you might tell your students how they need to rotate their legs differently when taking their demi-plié in first position. When ninth-grade theater students rehearse their Working in Silence scenes, they perform in front of their peers and faculty, receive feedback from their teachers, and then re-perform the scene to immediately incorporate their feedback. "Getting to do the scenes a couple different times really helps because then we get to take the feedback and we get to apply it, and that is the whole learning process," says Kara, a ninth-grade theater student. "If you fail, then you can do it again, and you could make big leaps and bounds and learn from that." You can connect risk taking -- and helping your students build comfort around it -- to their interests outside of school. Gonzalez has students in her class who enjoy skateboarding. She draws connections to risk taking by referencing their experience with trying a new trick. "A skateboarder knows what it feels like to try a new trick, how scary it is that they actually might fall," she says. "They could get hurt, and all their buddies are watching. We ask them to do that every day in the art studio." With any art form, students can fall into a pattern of doing what they're comfortable with or what they're good at doing without risking something new because they don't want to make a mistake. "It's our job as teachers to go, 'Do that new new trick. Go to the precipice,'" explains Gonzalez. By encouraging your students, you're helping them to explore their craft and expand their ability -- whether they execute a new technique right out of the gate or over time with feedback and practice. Either way, they see that taking risks pays off. "Failure isn’t the end of the road," explains Cindy Montoya, NMSA's principal. "You learn from failure. It gives you more information on how to do something better. It’s fodder for success. It’s a cycle of either learning about yourself, the content, or your art form." Once your students go through the process of applying constructive feedback to improve their work -- and once they create something beautiful as a result -- they'll see its value. They'll learn to appreciate and even want feedback. "Being able to accept critique and not feel hurt by it is an important skill for us to learn," says Serena, a 10th-grade student. "We're taking those critiques and learning how to put them to use." Creating something, receiving feedback, and revising their work is a natural part of the artistic process that your students can apply toward their academic classes. "The strengths and skills that these artists come to us with are hard work and a willingness to keep trying," says Geron Spray, an English and history teacher. "They have perseverance, they take constructive criticism well, and they build on it." It's not uncommon to hear students say, "I'm not good at math," or "I'm bad at writing essays." An arts education helps students to see that they can improve at their craft with effort. They can become better at math. They can become better at writing essays. "They start to see that connection between struggling through the practice, getting feedback, going in for help, and the outcome," says Eric Crites, NMSA's assistant principal. "It's just so great to watch a student go through that process of struggle, have a teacher believe in them, and then at the end, they have a result that they can be proud of," adds Gonzalez. Give your students journals to write down the feedback they receive from you. It's a way for them to store immediate feedback from each day to review and apply later, and it also allows you to model giving constructive criticism. When providing feedback to your students, share both their successes and areas for improvement, and be specific. "Feedback is fundamental to growing oneself as an artist," says Adam McKinney, the chair of NMSA's dance department. 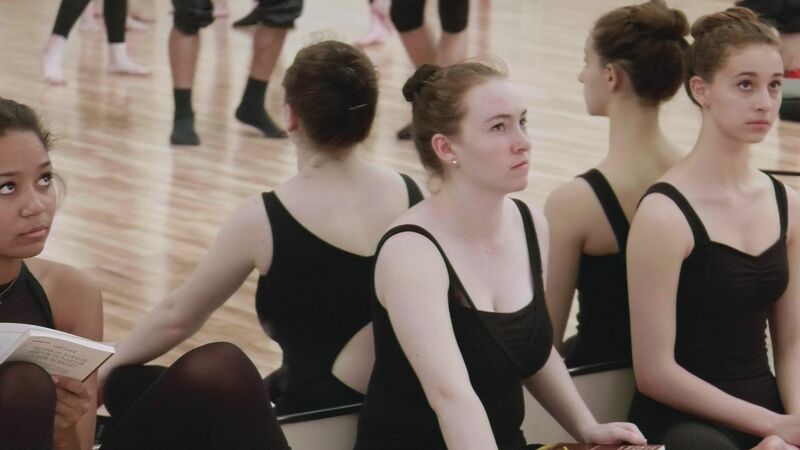 "I try to model what it means to provide critical feedback to my dancers." One way that the dance department models critical feedback is through dance journals. Throughout class, students write their teacher's feedback in their dance journal. For example, says McKinney, a student might write, "'When I'm taking my demi-plié in first position, rotate from the top of my legs so that my knees are going over my first and second toes.' For me, that next level of cognition -- to understand the feedback, realize the importance of the feedback, and then to incorporate that into their bodies -- is essential as young artists." By giving constructive criticism to their peers, your students will learn to better appreciate receiving feedback and they'll improve their skills to self-assess their own work. "Having young artists provide critical feedback to each other provides a deeper understanding and another layer of what it means to get better as an artist," says McKinney. "That critical feedback is essential to improving one's art." NMSA develops students' abilities to assess their own and others' work through showing them examples of mastery, equipping them with technical vocabulary, and providing them with opportunities to practice peer critique through fishbowl discussions, Visual Thinking Strategies, and Post-it note critiques (See Mastering Self-Assessment: Independent Learning Through the Arts). "Our students have learned that they can receive feedback -- even negative feedback," says Crites, "make a correction, and then come up with something amazing." "We develop this idea of self-reflection very early in the department," adds McKinney. "Why are you a dancer? Why is that important to the world? I know that the power of art saves lives. I have several young people in the department -- and who have graduated -- who communicate that art has saved their lives, and it certainly saved my own."